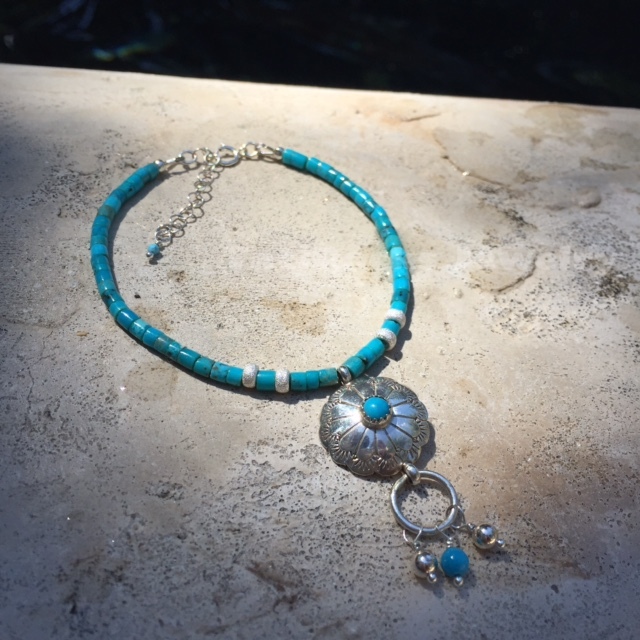 Festive Western inspired anklet made with Genuine Turquoise. All 100% 925 Sterling Silver. Anklet is meant to be worn high on the ankle. Anklet measures measures 7.5″ to 9.5″.